There are big differences in the way that wheelchair use affects men and women. A study published in Top Spinal Cord Injury Rehabilitation found that the prevalence of women with spinal cord injury is increasing, and women can be more susceptible to fatigue and the development of shoulder pain. In the bedroom, sources of pain for women in wheelchairs can include getting in and out of bed, lifting heavy items, and having inadequate mattress support. It is important to address these problems in order to design a room that is functional, accessible, and comfortable. Your bedroom should be large enough to enable you to enter the room, reach and transfer to the side of the bed you prefer, turn easily, and access all parts of the bedroom - including wardrobes, drawers, and the like. In addition to using the ADA Standards for Accessible Design Guidelines, you will also need to place furniture in such a way that each item is able to perform its intended use. For instance, in a small room, you may opt for a smaller bed to gain space or standing closets with doors that slide sideways instead of opening frontally. 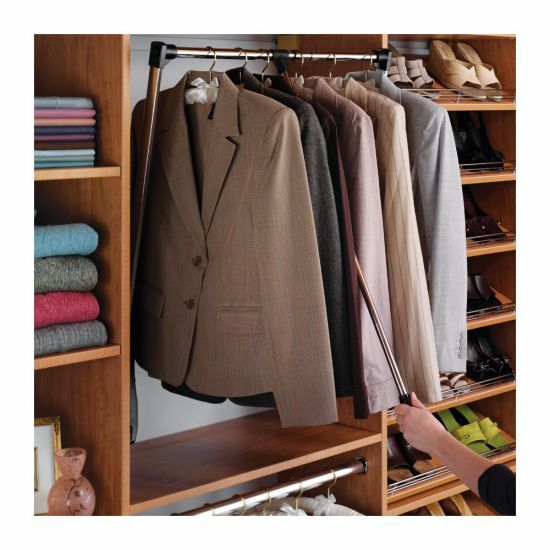 Closet rods can be installed at a lower height or pull-down rods on hydraulic assisted hinges make clothes within reach and an effective use of space. 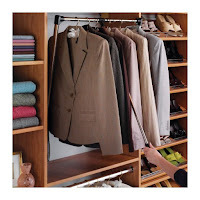 Furniture should be low lying so you can reach upper drawers and shelves without having to make a big effort. Custom built wardrobes, bedside tables, bed frames and the like can make life easier for you everyday. As mentioned above, shoulder pain may make it more difficult to carry out specific movements, such as transferring from your wheelchair to the bed. Custom builders can make it easier by building your bed at an ideal height for this purpose. Specialists in adapted bedrooms can also build useful furniture items such as desks with enough space for your legs beneath, as well as furniture with drawers and doors that can be opened with a switch rather than by having to be pulled or pushed. Custom-made is always ideal but not necessarily affordable. It is possible to find ready-made furniture but be mindful of dimensions before purchasing. 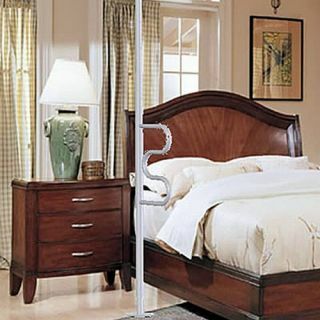 Assistive grab bars and poles are extremely helpful for stabilization during transfers in and out of bed. There are several design options that can be easily found on the internet, simple to install and affordable. Trapezes that hang overhead are useful when repositioning. Getting a full night's rest isn’t easy for most but especially for those with mobility and chronic pain issues. 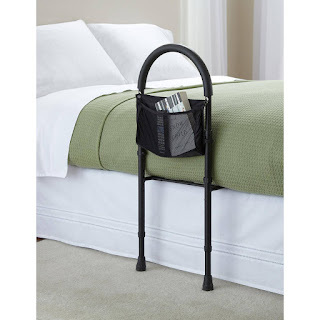 Adjustable bed frames are an obvious choice so that your head or feet can raise and lower with a push of a button. Pressure relief to avoid bed sores (pressure ulcers), is paramount so choosing a suitable mattress is one of the most important decisions that you can make. A good quality mattress is a significant investment so do your research. Talk to others that you know with mobility issues and make certain that when you do make the purchase that there is a lengthy trial period and return policy. 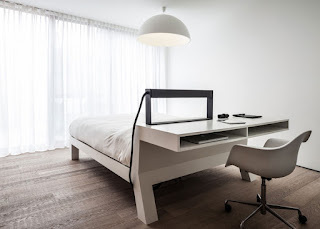 Some options include memory foam, organic latex, a smart bed that adjusts to your comfort and the list goes on. A mattress topper can be a more affordable option, for back pain. For those with serious skin issues, there are alternating air pressure mattresses that can literally be life savers! From midlife onwards, arthritis is the most common chronic condition in women; it is near the top for women aged 45 to 64 and takes the number one spot for those aged 65 and over. If you are in a wheelchair, then it means you will be relying very much on your hands and wrists. It is important to minimize wrist pain as much as you can. You can start by replacing all turning door knobs with levers or swing hinges, so that doors open with just the slightest push. Of course, any level differences between your bedroom and the hall should be fixed, either through comprehensive floor work or a simple ramp that will ease movement. Adjusting blinds can be a struggle, especially if you are already comfortable in bed. Fortunately, automated smart blinds are becoming more and more common and can be operated by your smart phone. There are settings to maintain your desired light level so blinds will adjust automatically as the day goes on. Designing a bedroom is similar to doing so for the rest of your home. Because shoulder pain is more prevalent in female wheelchair users, think of ways to reduce it by making furniture such as beds more accessible. Finally, look for ways to reduce shoulder and arthritic pain by changing door knobs, opting for furniture that slides sideways easily or at the touch of a button, and the like. The bedroom is your retreat from daily stress so don’t forget to choose calming paint colors, luxurious soft bedding and dimmable lights. Relaxation is overlooked and yet is an essential component of good health and mental well-being. Building the perfect bedroom takes time, but you can take it easy, focusing on main priorities first and adding small touches as you go along.